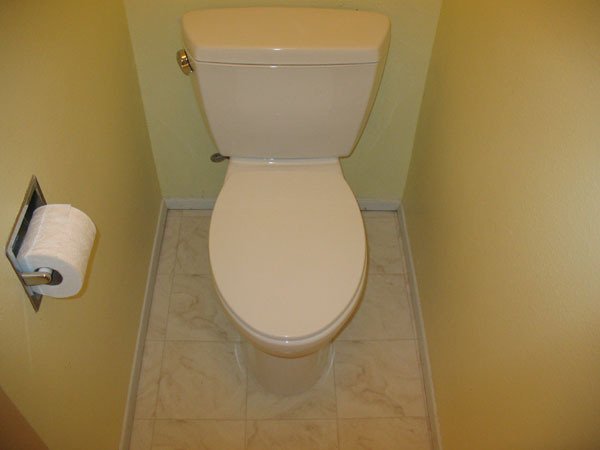 Molded from porcelain, toilets are the basic essential for a bathroom. With the ever dwindling supply of water, manufacturers have been pushed to create toilets that require as little water as possible in order to properly dispose of waste material. We know that not all toilets are all the same and their ability to flush with lower quantities of water has required extensive engineering. Toilets are basically made up of two pieces, the bowl and the tank. Water is held in the tank and then released into the bowl. Even one piece units operate in this manner, the only difference being, the tank and bowl have been manufactured using a common one piece mold. Toilets also come in a range of seat heights and there are two basic bowl configurations, standard and elongated. Besides the aesthetics of the toilet, if you are concerned about flushing capability you must consider: the diameter of the valve hole from the bowl to the tank - the larger the hole the more water that is released instantly into the bowl, providing a superior flushing action. The number of holes in the rim that release the water, the more holes the better the swirling action, the better the swirling action the better the bowl cleaning. Toilets do not need to have traps installed within the drain plumbing system, because toilets have the trap molded into the bowl. Many manufacturers have designed matching sinks or basins, including pedestal mount units and matching bathtubs. As with most items, colors between manufacturers vary and it is important, especially if sinks or basins, toilets and tubs are in close proximity that the colors match. A white made by one manufacturer can look grey against the white of another manufacturer. If you are purchasing units from different manufacturers take a toilet tank top and place it on the sink or bathtub and look at the color variations, before you buy. Toilet tanks will come with their own flush handles, however many bathroom design accessories companies have made handles that match towel bars, soap dishes and other items. Flush handles are generally easily replaceable with most toilet models. Toilet seats now come in a variety of colors and materials, many toilets do not come with their own seats. Again, color matching is important and not all seats work properly with all toilets.